100% lightweight and durable nylon is twice as stronger as standard designs. 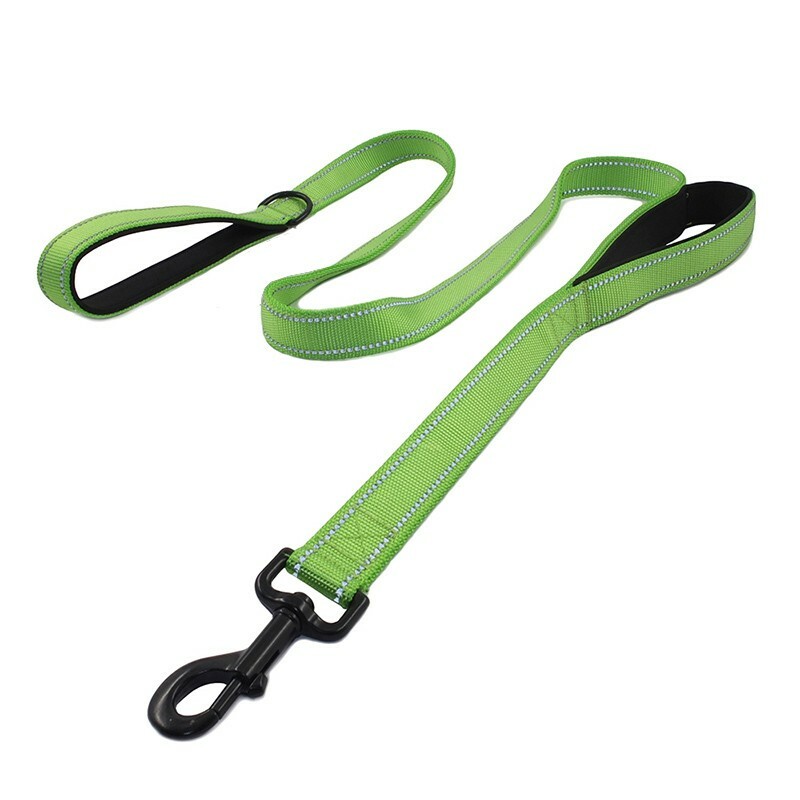 If you are looking for a leash for safe control, this one would be the best choice. Nickel alloy swivel clip is durable and can control active puller. Do not want to be invisible at night? it's time to get leash with reflective lines that can make night walking visible and safe. If you need more control in short distance, our traffic handle can help you a lot by offering extra control. There are less off leash park in US, because some pets are dangerous and leashing your pet is actually a good behavior all pet parents should follow. Someone will say that my pet is very shy and gentle, he/she will never hurt anyone, free leash can let my dog enjoy maximum freedom. That is really meaningless and irresponsible statement. If you have a baby who is around 2 years old and can barely walk well, when you take him to walk on street, here comes to a big dog almost the same height as your baby but without leash controlled, will you be scared of that? If that is spring or summer whichever is the most active season for pets, you don't know what a pet can do to a stranger. So using a leash to control your pet can set a good example to other pet parents, which shows your responsibility for your pet and other people.Keeping a dog is not all fun and play. You need spend enough time to make your dog behave well for anyone else.